Uber unveiled the first fourteen Ford Fusion (of up to a hundred) to be used for transporting passengers in Pittsburgh. The vehicles have a driver ready to take the controls in an emergency, accompanied by a co-pilot with a laptop taking notes. 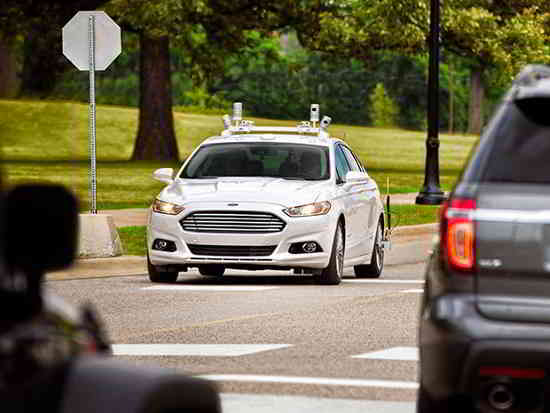 The Ford Fusion adapted by Uber is a first attempt, and one that will continue through the collaboration with Volvo (the other brand Uber is working with) to incorporate more vehicles. Furthermore, Uber is experimenting with an unlimited $200/month flat rate service in Manhattan, where Uber already has succeeded with other types of flat rates associated with individual trips, setting a $5 price for each trip during peak hours and also linking with their Uber Pool share-ride service. Google is also experimenting with similar shared services through Waze Rider in San Francisco, which allows users to find other passengers to join them for a set, $0.54/mile fee -not to make profit but sharing the costs. On the other hand, Ford has begun framing itself as a mobility company rather than a mere car company, where they plan to sell completely self-driving cars by about 2025, after first providing them via ride-hailing service, in 2021. And finally, the Governor of California recently legalized the testing of self-driving vehicles without a driver on board, and no pedals or steering wheel under real traffic conditions, based on the guidelines provided by the US National Highway Traffic Safety Administration (NHTSA).